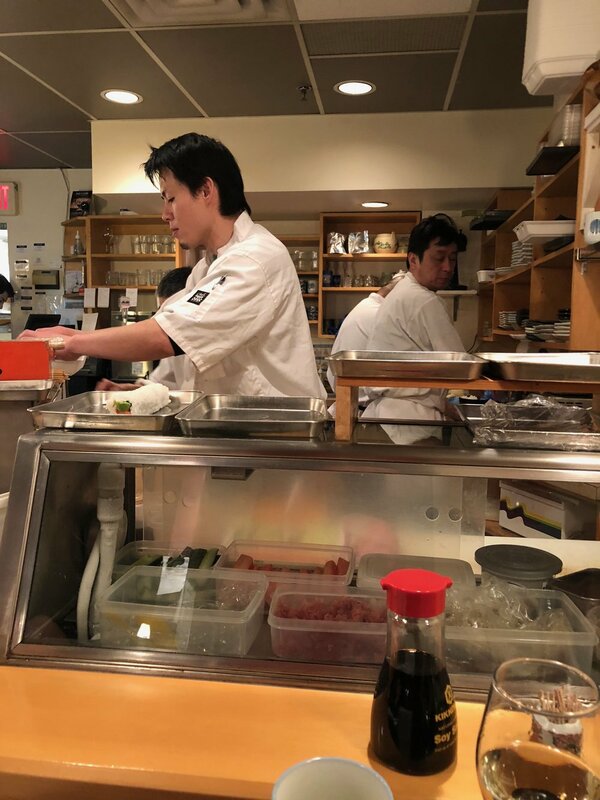 Legend has it that Toshi Sushi is Justin Timberlake's favourite restaurant in Vancouver. This restaurant is tiny but the restaurant operates efficiently to ensure that people waiting get seated as quickly as possible. It was my first time here and for two people, we waited for 30 minutes. It was worth the wait. We sat at the bar but there wasn't much to see like traditional sushi places (for comparison, the old Fuji Sushi and Matzusushi). The special agedashi was ok, it was super hot (temperature) and it was different but it wasn't mind blowing. I probably wouldn't order that again. Dynamite roll was pretty good, it actually had a kick to it with spicy mayo. The boxed sushi was again different from places like Miku and Minami, but it was refreshing with the piece of citrus (can't recall if it's lemon or orange). Salmon was the wild variety and it was fresh. Tamago didn't look like it was made in house, it had that manufactured yellow colour (see Sushi Itoga for legit tamago). 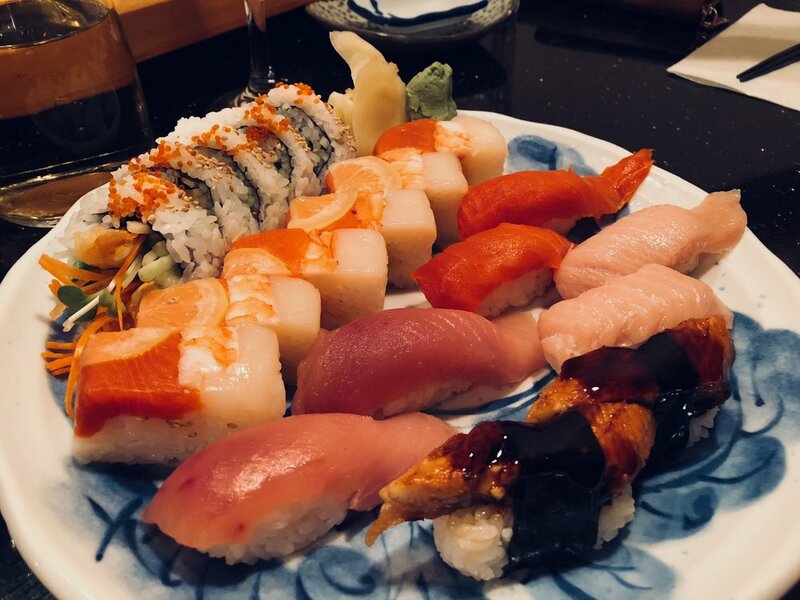 The stars and the must get is the Toro and Unagi nigiri. The toro usually sells out so make sure you snag a couple pieces right away. Best dish of the night, the baked miso eggplant. *slow clap* Just an amazing dish and I'm so glad Lillian introduced me to this dish. So damn good. Overall experience, it was good, worth the wait? maybe? Prices were very reasonable and not outrageous.